After a decade and 18 prior movies the Marvel Cinematic Universe (MCU) converges for the war of all wars. 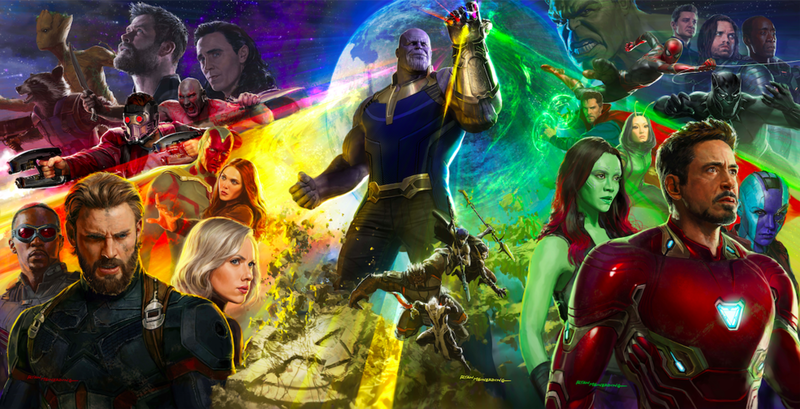 The one key through line for Avengers: Infinity War is Thanos, who is hell bent on collecting all six infinity stones in order to create balance in the universe. It is this steadfast determination which makes Thanos one of the best villains in the MCU to date, as he truely believes his cause is for the greater good. When the Avengers learn of Thanos’ plan various groups of heroes set into action their own plans to attempt to stop him. As there has already been such an investment in these characters in prior films the action kicks off immediately and doesn’t let up for the entirety of the films lengthy run time. With so many characters involved in the various stories happening simultaneous across the galaxy there is a lot of jumping around. As the film jumps around it does a great job of injecting the tonal elements one would expect from each of the various core films, which leads to some unexpected but fun moments of comedic levity. Unfortunately though because the film is juggling so many different subplots it isn’t always able to build the weighty emotional drama, which is required to solicit the reaction it so desperately wants the audience to have with its cliffhanger ending.